Over 15 years after the death of her husband, veteran Nollywood actress Patience Ozokwor is set to remarry. 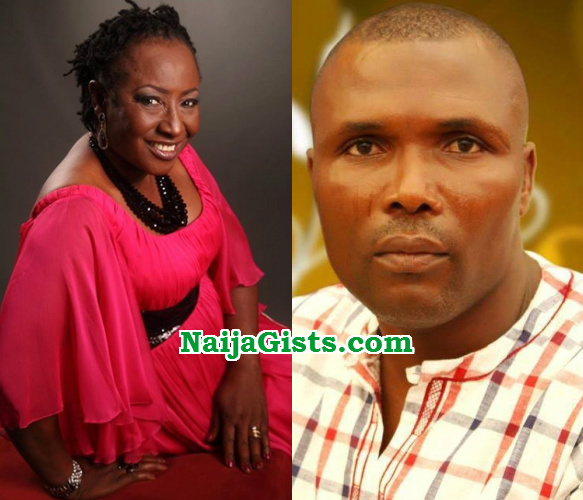 According to whispering birds in Enugu, Mama General is now dating a Delta-born politician and Pastor identified as Michael Diden popularly called Ejele. Ejele was a commissioner in Delta State before he became a full time pastor. Nollywood insiders alleged that Mama Gee has become a frequent visitor to Sapele because of her thriving romance with Ejele. We also learnt that the man has been spending lavishly on Mama Gee for a while now. The elderly couple are also planning to have a secret wedding soon. GOOD COMENTS FROM DAWAYE AND KIND!!! MAMA G PLEASE MAKE SURE YOU ARE NOT SNATCHING HIM FROM HIS WIFE IF HE HAS ANY! AND MAKE SURE HE IS SINGLE OTHERWISE IT WOULD NOT COST ME ANYTHING TO CALL YOU CRIMINAL!!!! I love this, My co-thespian even if i am still coming up or have not seen my mentor Mama G, I pray that God will see you through this, but let it be a great and Godly one. Actor Kaycee. Happy for you mama G,God bless and keep your union. What a political pastor.in public show. Mama G, I am happy 4 u my dear. Just make sure it is in the light of God. U deserve 2 b happy.